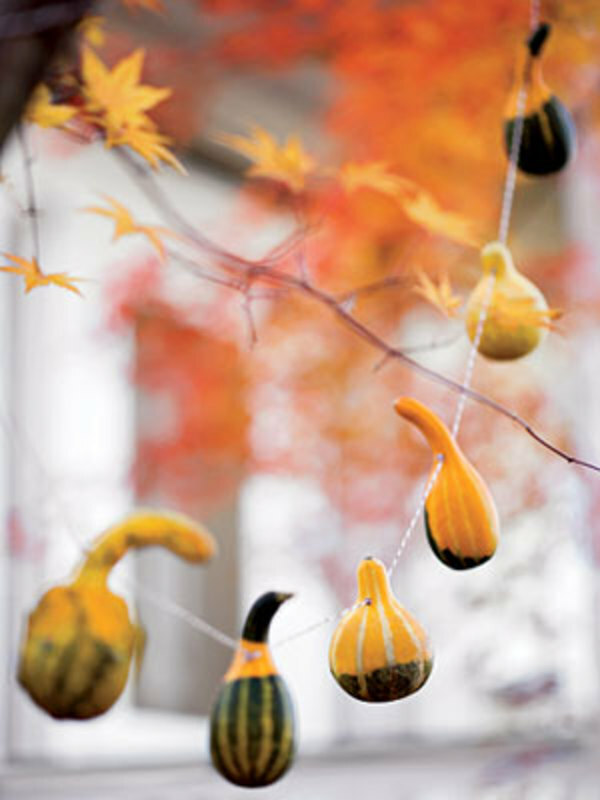 With Thanksgiving around the bend, it’s time to give your home a garden-inspired makeover. There’s no better time to show off your bountiful fall harvest than Thanksgiving, when family and friends gather around the dining room table to enjoy seasonal treats and each other’s company. 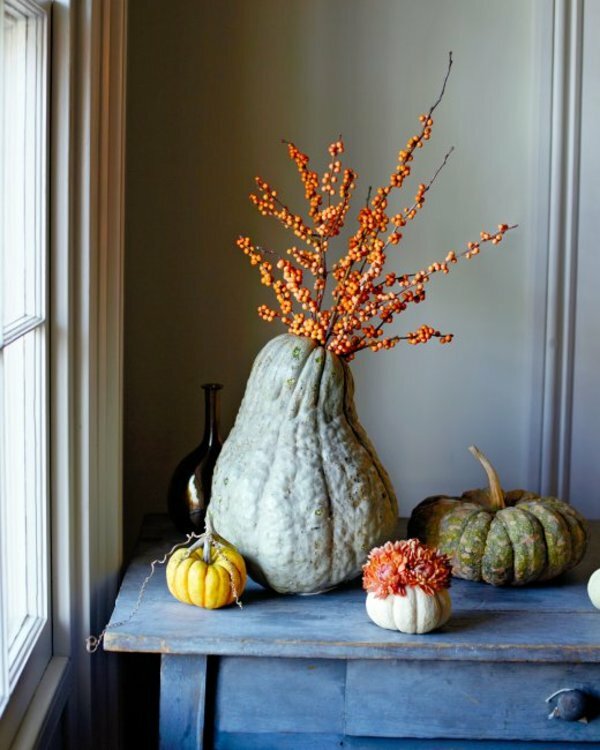 You can make your home inviting and festive using gourds and squash from your own garden! We’ve rounded up a few of our favorite how-tos for you to browse through. Make one, make them all– no matter what you’ll add some life to the Thanksgiving table, personalizing your space and making guests feel right at home! This pretty garland is a simple DIY from Family Circle that incorporates bicolor spoon gourds (or any other gourd you wish!) into home decor. Though the directions suggest the garlands be hung outdoors from tree branches, you can easily spruce up the inside of your home with a garland hung over the fireplace or doorways. Place flowers or pretty branches such as bittersweet in this natural vase made from a garden squash. Just grab a large variety such as “Hubbard,”, cut a hole near the top using a miniature saw, and arrange your branches or petals inside. Full instructions from Martha Stewart here. Still got some glorious crimson leaves hanging from tree branches in your yard? Gather them up and arrange in bright blue vases for major contrast. 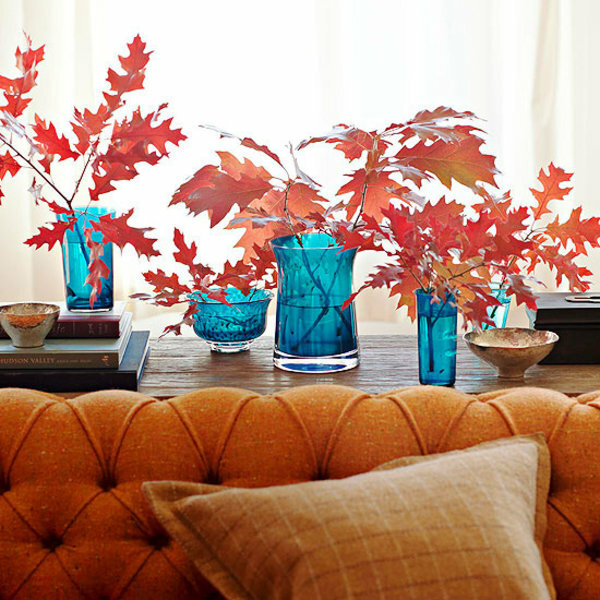 The pop of the red oak leaves on branches against the cool blue tones adds seasonal flair to your home. 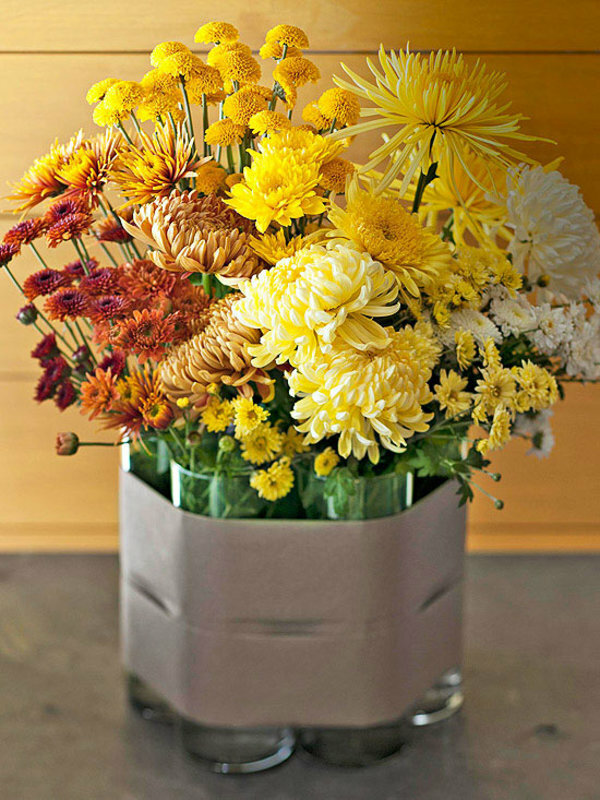 Mums are the ultimate autumn flower, and nothing will give your Thanksgiving table that extra punch of color like a cluster of these vibrant beauties in the center. Fill glass vases with a variety of mums– quill, spider, pom pom, double, anemone– and then complete the look by wrapping the vases together into one centerpiece with a piece of neutral fabric. You can play with the colors by arranging similar tones together, building up from light to dark. For more centerpiece ideas, visit Better Homes and Gardens.